The news that details about Jenny Jones, a Green Party peer and a member of the London Assembly, were included on the Metropolitan Police’s ‘domestic extremist’ database has understandably attracted national and international media coverage. After all, Jenny and Green Party councillor Ian Driver, whose name also appears on the database, are both elected politicians and neither has a criminal record or have ever been arrested. Furthermore, as Jenny pointed out in an article in the Guardian on 16 June, the data held about her amounts to little more than gossip, trivia and information available from public sources. It is, as she puts it, “a complete waste of police time and resources”. 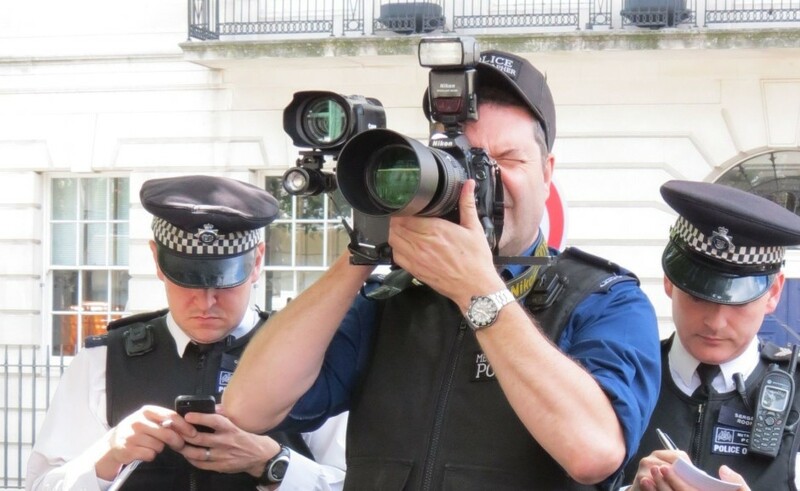 There is a risk, however, that the media’s focus on concerns about police data-gathering targeted against politicians misses a wider and more fundamental problem: Jenny Jones was spied upon not just because of her elected position but precisely because she is an activist who regularly takes part in demonstrations and protests on issues she is passionate about. She is absolutely right to therefore say that her file and the secret database it is held on “should be seen in the wider context of police surveillance against activists”. Around the country, there are hundreds of campaigners who have faced arrest for taking part in protests. Some do so deliberately – peace campaigners who support civil disobedience based on religious or ethical principles, for example. However, our monitoring of policing operations over the last five years also points to the increasingly heavy-handed tactical use of mass arrests by the police – sometimes, such as at UK Uncut’s protest at Fortnum & Mason in 2011, with the deliberate intention of gathering intelligence. As Jenny’s Green Party colleague, the Brighton MP Caroline Lucas, found when peacefully protesting last summer against an exploratory shale gas site in Balcombe, West Sussex, the tactic of mass arrests can lead months later to a criminal prosecution and the threat of conviction. The weak case against Lucas and her co-defendants was ultimately thrown out, but not everyone is always so fortunate. Thanks to a poorly redacted Freedom of Information request, Sussex Police has now confirmed that undercover officers (“covert human intelligence”) were used against anti-fracking campaigners in Balcombe in 2013. The purpose of this kind of surveillance is to identify ‘leaders’ and ‘organisers’. We know too that, once an individual activist’s details appear on the ‘domestic extremist’ database, there is an added risk that they will be targeted as a potential ‘troublemaker’ by Forward Intelligence Team police spotters and face an increased prospect of arrest. Ultimately, having an arrest or conviction record should never mean some protesters are ‘more deserving’ of police surveillance than others: the question is whether they are ever remotely likely to fit the current definition of ‘domestic extremism’ as “the activity of groups or individuals who commit or plan serious criminal activity motivated by a political or ideological viewpoint” – even if this description has no basis whatsoever in law. That the vast majority never will is central to the problem with police surveillance on political activism in the UK: it is based on a standard for intelligence gathering, the National Intelligence Model ( , 4.9 MB), which was designed for combating organised crime. Its emphasis on building up detailed personal profiles of “a (potential) offender and his associates for subsequent action” that includes “disruption” and “network demolition” is potentially appropriate for tackling drugs, firearms and human trafficking, but when applied to political activism it is little more than an excuse for harvesting huge amounts of data on ordinary citizens who oppose government policy or corporate power. This is why Netpol is not simply opposed to spying on politicians – we oppose spying on all activists and campaigners. We continue, therefore, to call for the abolition of the national ‘domestic extremism’ database. It remains a secretive, oppressive and profoundly anti-democratic response to the policing of political protest, one that increasingly results in the criminalisation of those who choose to exercise their right to express dissent.